I love female riders. It is mostly the athletic riders that catch my attention, but they are amazing. 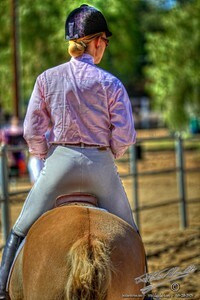 This rider is amazingly beautiful, She sits strong astride the horse, shoulders squared, and comfortable. The sunlight models her form with accents of color.